The pound fell below $1.27 against the US dollar for the first time since June last year. Sterling - already weakened amid political turmoil over the government's Brexit blueprint - slid to $1.2660 in afternoon trade, its weakest since June 2017. The move was attributed to the strength of the dollar, with the value of sterling little changed versus the euro. The drop against the dollar also comes on the back of weaker-than-forecast wage growth figures which were released on Tuesday. 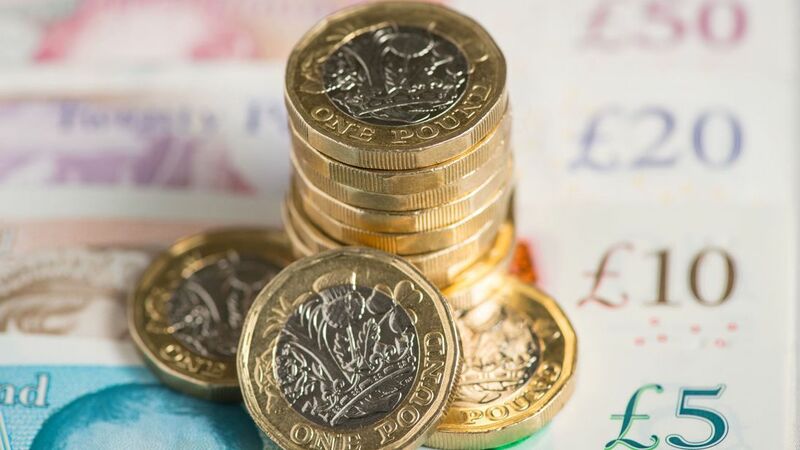 Average weekly earnings, excluding bonuses, rose by 2.7% - unchanged on the month before, according to the Office for National Statistics. Real wages grew by just 0.4% - a slight drop on last month's 0.5% figure. Currency markets were expected to closely watch the release of the UK's July inflation figures. Earlier this month, the Bank of England (BoE) raised interest rates above their crisis lows for the first time in nearly a decade. However, BoE Governor Mark Carney warned monetary policy changes need to "walk not run" - suggesting the cost of borrowing will not rise sharply over the next few years. The pound has been on a downward slide for some time amid fears of a "no deal" Brexit.